A shrewd, underpaid houseboy lives and works with a university professor and his wife. As his struggle for survival under unsympathetic circumstances intensifies, he has the idea of pimping out his own wife to his employer. This culminates with scandal, a brush with the law, and his wife having second thoughts about who she would rather be with. 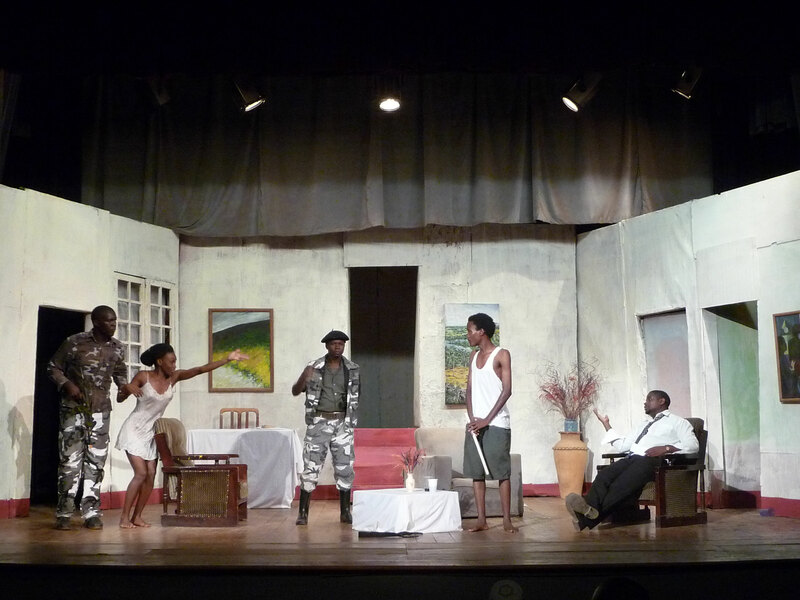 This would not be an unusual story in modern day Kampala, though it is actually the plot of the 1972 play Black Mamba by the late Ugandan playwright John Ruganda, shown in the Uganda National Cultural Centre as part of the celebrations marking its 50th anniversary. In this play the gap between satire and comedy is blurred. The drama is built up in a sequence of clever set pieces. The sharp dialogue is full of biting criticism about the collective consciousness of society, the exploitation of common people and the various hues of corruption. Extract of an art review for AfricanColours. Afriart Gallery in Kampala describes itself as “a global distributor for original art by emerging talent.” Things have been a little less rosy after a recent downsizing – perhaps the economic downturn has gobbled up some art aficionados and buyers. Nevertheless it remains an important rallying point for young artists in Uganda. Downstairs, the main exhibition hall features the emerging talent, 25-year old Ronnie Ogwang, with well-established contemporary artists, the 35-year old David Kigozi and the elusive Paul Ndema – both of whom are on show in the permanent collection. These were mostly new paintings. Of these three young artists, Paul Ndema brings a sense of mystery and pathos; Ronnie Ogwang glorifies the female persona while David Kigozi renders the daily, domestic scenes, with unabashed delight. Tucked away are a few hand-painted fabrics hanging on a rack. The wall next to it is hung with an impressive array of contemporary art gracing the short stairwell leading to the exhibition rooms upstairs, where the permanent collection spends its days. 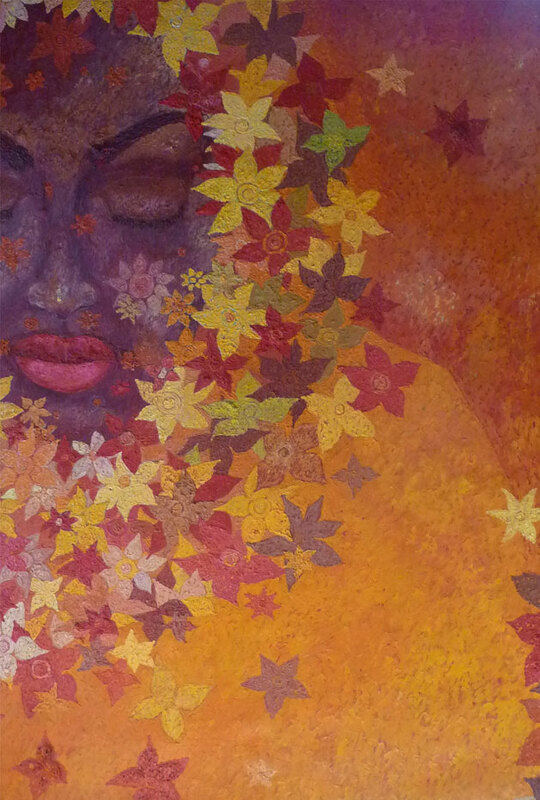 Paul Ndema appears to get his inspiration from the illustrious style of Gustave Klimt, particularly in his use of elegant, golden, and colourful details. In his painting “Anxiety,” there are other likenesses to Klimt’s work such as the detail in the flowers bedecking a woman whose eyelids are shut.